Ara Roa is the ideal location for watching a wide range of native birds. 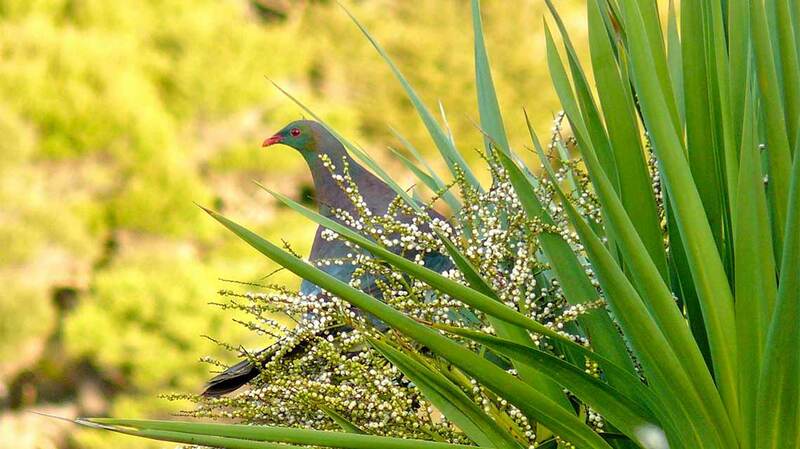 We are very lucky to be part of an active kiwi conservation area. It is fantastic to have local Kiwi living around our properties. The Brown Kiwi is the second most numerous kiwi species, with a total population of only 25,000. Current estimates are of 800 Kiwi living in the Whangarei Heads. “Backyard Kiwi” is a local land care group working hard to keep our Kiwi population alive and growing. Predator control, Kiwi monitoring, landowner liaison to name a few areas they focus on. And it looks like the Kiwi are winning. Kiwi releases are one of the many highlights of the Kiwi conservation group “Backyard Kiwi” at Whangarei Heads. Since 2003 they have supplemented the local kiwi population by regularly releasing kiwi into the Whangarei Heads. These releases are a fantastic opportunity for locals and visitors to see live Kiwi. Contact us to check when the next Kiwi release is happening. In addition to the Kiwi, a diverse range of species that can be observed at a quite close range. The very vocal and fearless Tui will get very close to people. At night time you might spot our native Owl “The Morepork”. If you are keen on watching a wide range of shorebirds, furthermore a visit to the Taiharuru and Pataua estuaries is a must.